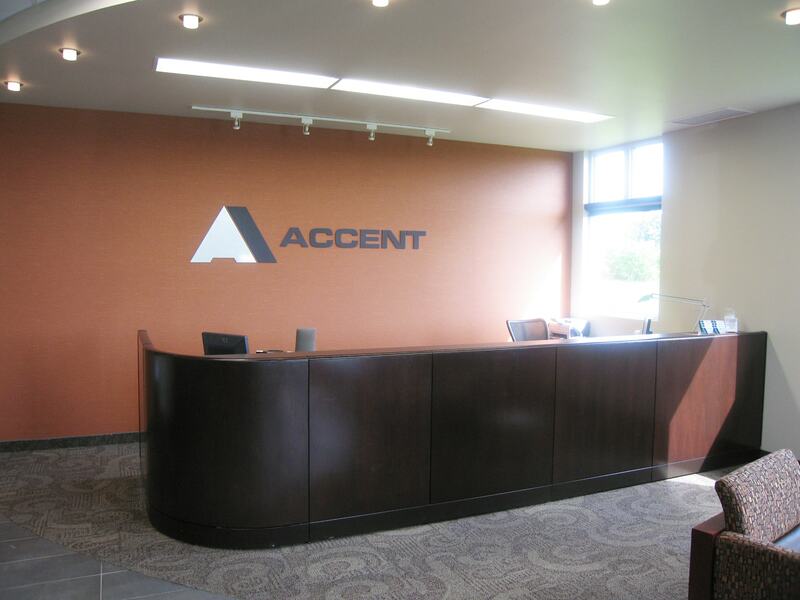 Accent Workplace Environments is a privately owned organization that has been satisfying the needs of corporate, educational, healthcare and hospitality clients for over 25 years. 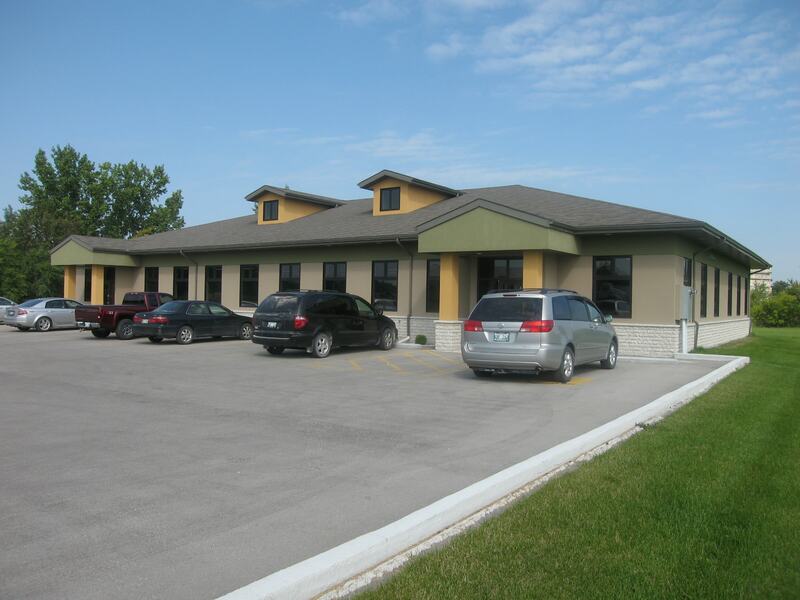 Their new state-of-the-art working showroom and warehousing facility was constructed in Stonewall, Manitoba, a thriving community just a few minutes north of Winnipeg. 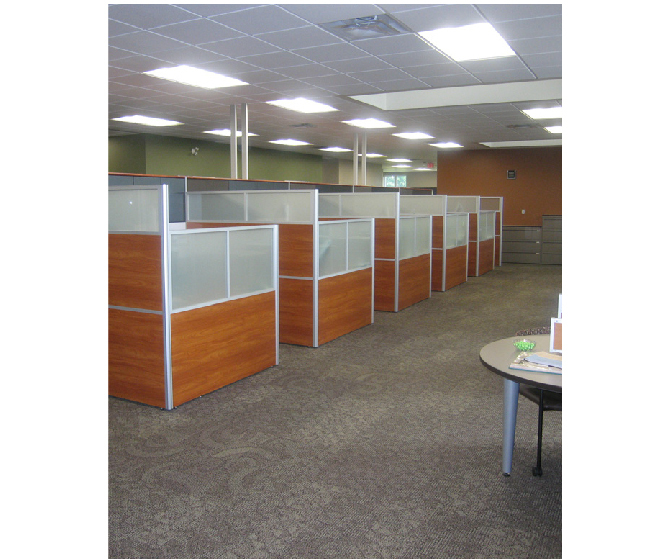 The building is entirely of wood construction, with the hip-style wood-framed structure serving as the Head Office space. 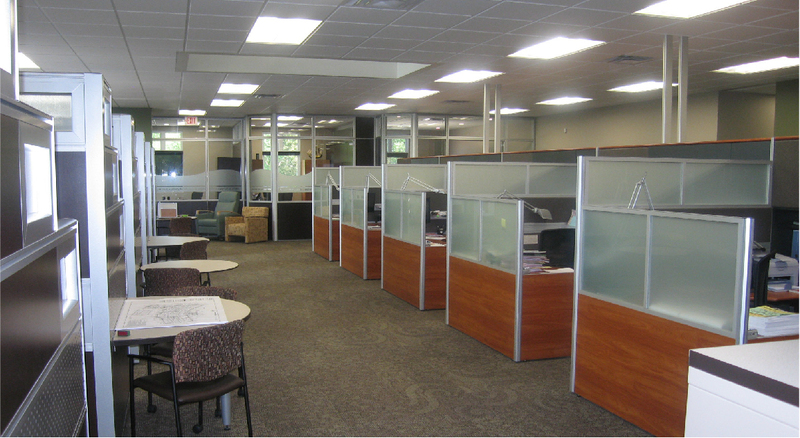 Two 6’ x 11’ skylight bulkheads imitate the two roof-angled entrances. 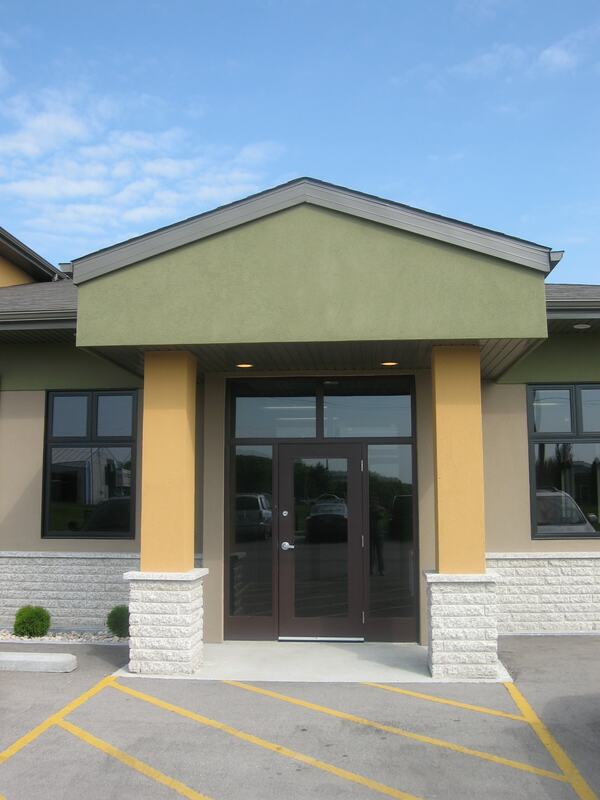 The soft, earthy tones of this building compliment the 4” split face tyndall stone brick veneer and acrylic stucco. 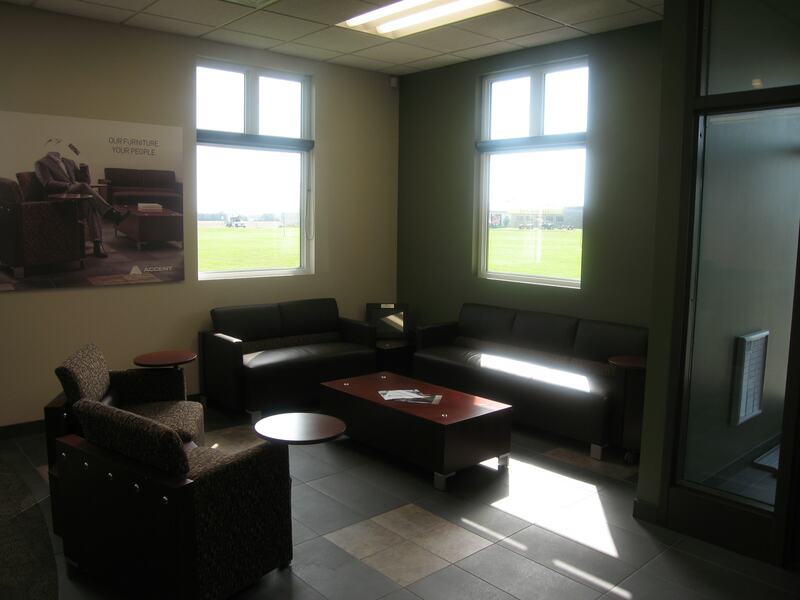 The soft, earthy colour tones and deep wood furnishings along with the dark coloured ceramic floors create a warm and relaxed reception and waiting area. 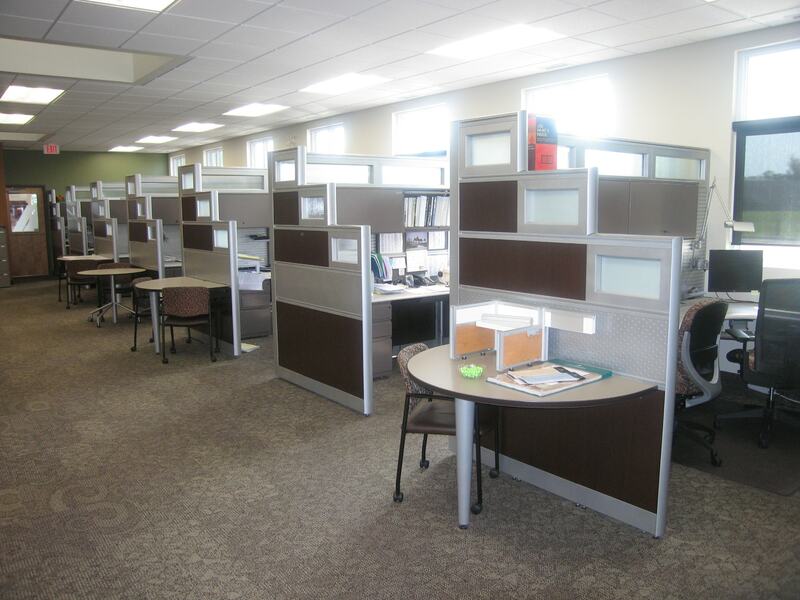 Modern desks line the sales department walls making the space feel open and well-designed. 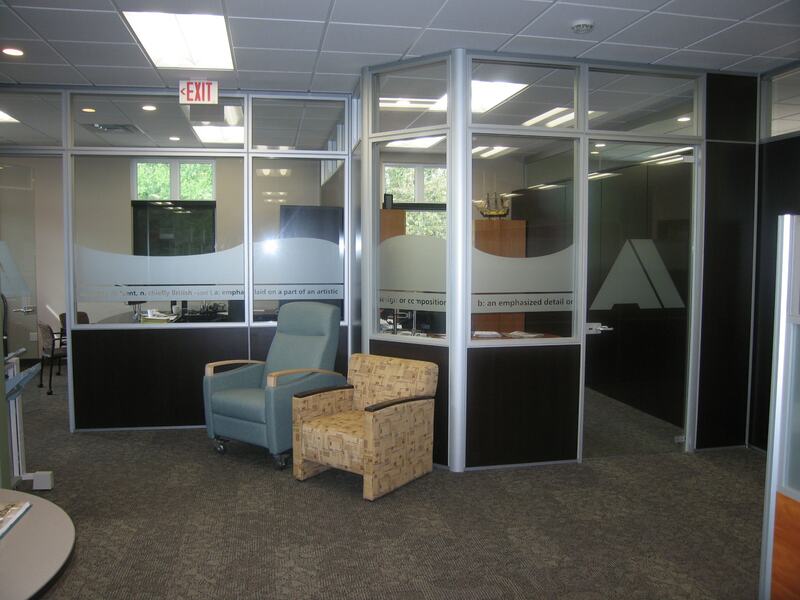 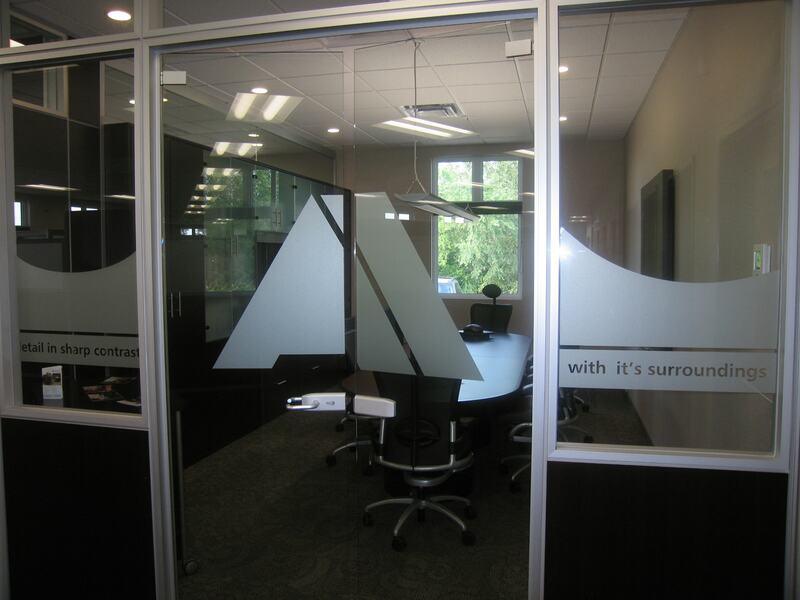 The etched frosted glass office walls and boardroom walls add a tasteful and stylish touch to these areas.